Quito, Ecuador - April,17, 2016: Unidentified Citizens Of Quito.. Stock Photo, Picture And Royalty Free Image. Image 55990450. 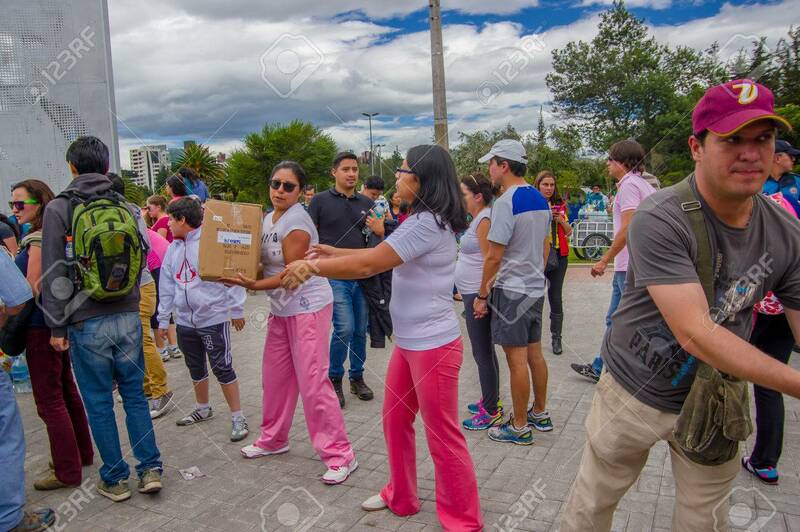 Stock Photo - Quito, Ecuador - April,17, 2016: Unidentified citizens of Quito providing disaster relief food, clothes, medicine and water for earthquake survivors in the coast. Quito, Ecuador - April,17, 2016: Unidentified citizens of Quito providing disaster relief food, clothes, medicine and water for earthquake survivors in the coast.